Kombucha is a fermented drink made from a base of tea and sugar, using a culture called a SCOBY. SCOBY is an acronym for Symbiotic Colony Of Bacteria and Yeast. It is a mushroom-like culture, which is actually the fruiting body of a fungus. The drink ferments within a few weeks to give you a healthful beverage that is like nothing you've ever had before. It is believed that kombucha was discovered in northeast China or Manchuria around 1910. It then made its way to Russia and gained popularity in the '50s and '60s. From there, it spread around the globe. Only in the last 20 years or so has it come to be enjoyed here in America. There are several bottling companies that mass produce kombucha, and all of them start with the same process. The starter tea is usually a combination of black and green teas, although many are made from other ingredients, as we'll show you later in this article. Sugar and a SCOBY are added to start the fermentation process. The SCOBY mother, or original fungus, will float, sink, or turn sideways in the container used. It's not unusual to see brown stringy things coming from the mother, or it may develop holes, bumps, dark patches or clear spots. All of this is normal. However, if you detect a cheesy, rotten smell, see bugs (such as fruit flies) or see green or black mold, toss it out and start over. The bad SCOBY and liquid can go into a compost pile without harm. 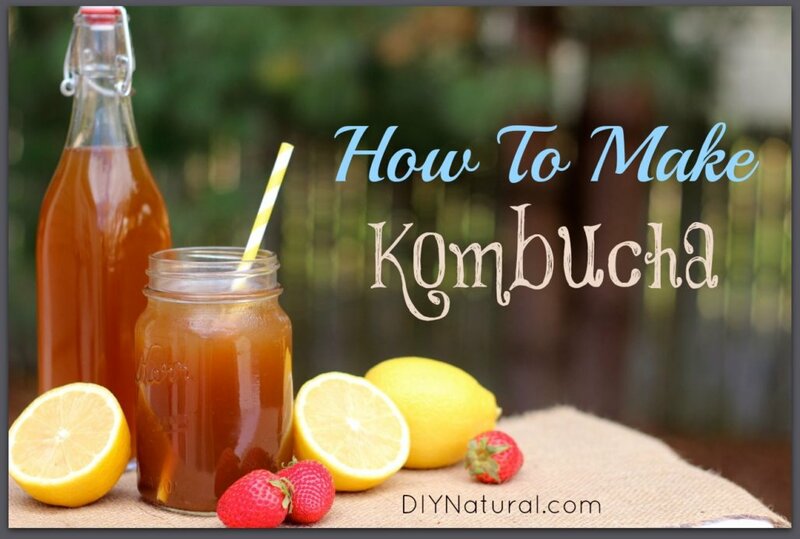 So how do you make DIY kombucha? It's very simple. There are many variations on the method, but what follows is my basic recipe. Now, what can you do to change things up? I've tried many things with my DIY kombucha recipe, and not all were successful. You can substitute sugars, although sugars with molasses in them (unrefined) are hard for a SCOBY to digest. This is one-time using white sugar is okay – after all, it's just food for the yeast to feed on. Pasteurized (not raw) honey can also be used, but I have not tried this one. Let me know if you do! Don't use stevia, lactose, xylitol or other non-caloric sweeteners. The sugars are necessary for the fermentation process. I have also tried black and green tea, hibiscus flowers (Roselle, sometimes sold as "Jamaica" in stores), fresh ginger and turbinado sugar. It was just about the best thing I've ever had. The fresh ginger is the kicker. Try other fruit juices such as carrot, mango or grape, and also fresh fruits like strawberries and lemon. I've also had one made from coconut water and lime. 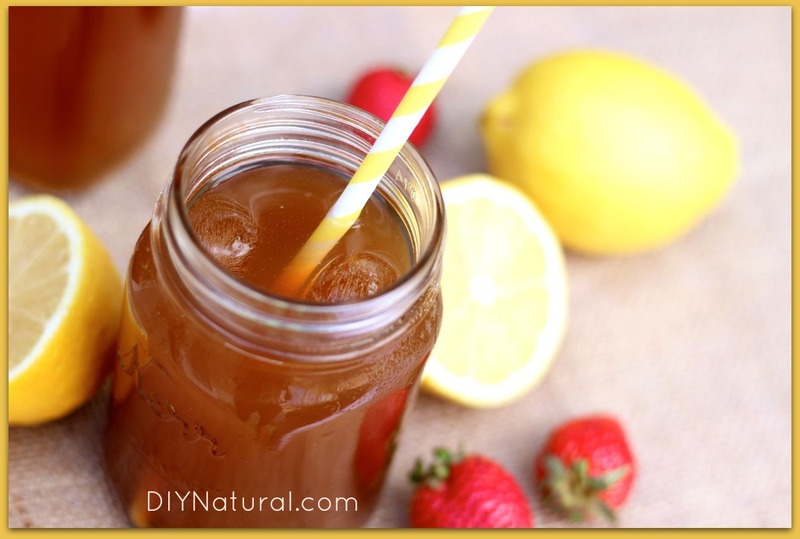 That Was How To Make Kombucha and Recipe Variations, Hopefully it's useful and you like it.